When cars drive themselves, what will we call them? As everyone except Google seems to understand, perhaps we should take the time to fully develop driver assistance systems before we develop totally self-governing, self-driving cars – no one even knows what to call them. The road to automated driving may turn out to be a "near-term collision course," Massachusetts Institute of Technology researcher Bryan Reimer told USA Today. He will give the keynote address at a conference on autonomous vehicles in Detroit this week. He agrees with a mandate from the NHTSA to go slow on the path towards robotic cars. The engineers at Google have worked wonders, but have they really accounted for every possible contingency a self-controlling car might encounter? Will insurance cover the consequences of something falling from above – like a dropped air conditioner, lost airplane engine or errant chunk of meteorite? Will Google’s lasers, cameras and sensors detect a sinkhole – something that seems to be occurring with greater frequency in certain parts of the country – opening right in front of the vehicle? Are they tied in to weather and emergency alerts so they are aware of and ready to cope with flash floods, tornadoes, wildfires, mudslides or earthquakes? "There will always be a set of circumstances that was not expected, that the automation either was not designed to handle or other things that just cannot be predicted," USA Today quoted George Mason University professor Raja Parasuraman, director of the university's human factors and applied cognition program, as stating. What would one single catastrophic accident, seized upon by the media and made in to a cause célèbre do? In short it would spell the end of the movement towards these vehicles and we still don’t know what to call them. Other news released today served to underline how needed these vehicles may soon be. AAA and the University of Utah revealed information indicating even voice command, paired phones and text readers and input, still serve to distract drivers to the point they miss visual cues like stop lights, pedestrians or even imminent vehicular impacts. So while many agree we need to proceed with caution towards a world where cars drive themselves, decades of proactive education about driving while drinking have not eradicated the problem, and these revelations are not likely to keep people from multi-tasking while driving anytime soon. Consequently, we really do need vehicles that release humans to follow their social, business driven and other inscrutable drives, while something more reliable and predictable controls the transportation. Even this will create a whole new caseload for psychiatrists – we personally know people who hate to fly and will not ride a bus simply because they hate to relinquish any level of control to others. 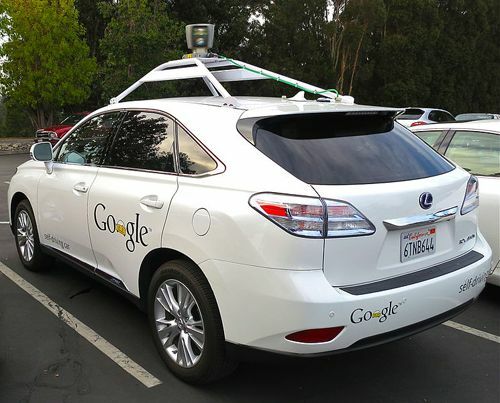 Which finally brings us to the question – what should these self-driving vehicles be called? Actually it’s not what should, but rather what will they be called – because it doesn’t really matter as long as it’s more or less accepted. The Association of Unmanned Vehicle Systems International (AUVSI) is the sponsor of the Detroit conference. Among the attendees will be vehicle suppliers, car companies, robotics representatives and the dreaded drone makers. The conference is titled the Driverless Car Summit. This is also bad terminology, because if no one is driving get out of the way – its a loose cannon! "We don't know what we we're going to call these things," stated Michael Toscano, CEO AUVSI. The terms we have used so far included self-driving cars, autonomous vehicles or even robotic automobiles. The reality is that language is a living thing and constantly changing, so academics won’t be the ones to name the cars that drive themselves, though they may try. Self-driving cars implies a consciousness not actually there in semantic terms. Autonomous cars would intrinsically indicate they go where they want to instead of where instructed. Robotic cars to some extent imply vehicles that do what we want them to do, so the term “robocar” is certainly a possibility. Then again, language is frequently used by youth to create a code and exclusivity – a dialect the old ones don’t understand – the young use this inscrutable dialect to encode their communication and differentiate themselves from their parents. The word “cool” was used from the Beatnik era of the ‘50s through the hip culture of the ‘60s and 70s to mean something generally pleasing or likable. In English, however, most words have two meanings – a denotation or generally accepted or explicit meaning – and a connotation that is a more interpretive and less accepted meaning. As the 20th Century ended, the word “cool” gave way to adjectives like “gnarly, sick and infectious.” Chances are good many more have already come around to replace those expressions. The point is, it is even harder know what a future thing will be called, than it is to know what a future thing will actually be! Thus, we are simply engaging in speculation here, or what might be called a journalistic form of spit balling. For many years, any carbonated cola beverage was referred to as a Coke, so if Google actually markets the first autonomous cars successfully, maybe they will be called Googles or some variation thereof. Googoos, gogos or Googs, who knows? The shared car movement seems to be picking up speed and maybe they will lead into the name for the robocars, especially if these services are the first to field them. ZipCars could lead to calling them zippers – that could easily be an English word in need of a new meaning. Then again, for years the cars we don’t drive have been known as Cabs or Taxis. If they take us where we want to go, that could easily end up being what they are called. Then again, another language like Russian or Mandarin could become the new slang as in Kubrick's A Clockwork Orange. Pehaps robocars will be called “Devotchkas” as some kind of inside joke. Another thought is cars that drive themselves may elicit a form of nostalgia for the old gas guzzling, unsafe, human controlled cars of the past. So they could be called Mustang, Camaro, Challenger, 442, Corvette, Porsche, Aston, Bentley, Ferrari, McLaren, Alfa, Ferrari, Lamborghini or even DeLorean, for that matter. Then again, once automobiles become little more than appliances, we may just call them what we always have, without the emotional attachment: autos, cars, bugs, beetles, rods, coupes, sedans or shorts. Have any other thoughts? We'd love to hear them!! !